Ancient Africa has the world's oldest and largest collection of ancient writing systems, and is home to the world's first identifiable proto-writing. Evidence of such dates to pre-historic time and can be found in various regions of the continent. However, Africa's oldest known writing system is over 6,000 years old. By contrast, continental Europe's oldest writing, Greek, was not fully in use until c. 1400 BC (a clay tablet found in Iklaina, Greece) and is largely derived from an older African script called Proto-Sinaitic. 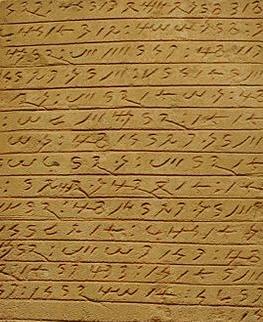 The oldest Asian writing, Proto-Cuneiform, dates to around 3000 BC (clay texts found at Jemdet Nasr). The purpose of writing has always been to communicate ideas, and humans have been doing so for at least 100,000 years in the form of engravings, such as those uncovered at the Blombos Cave in South Africa. 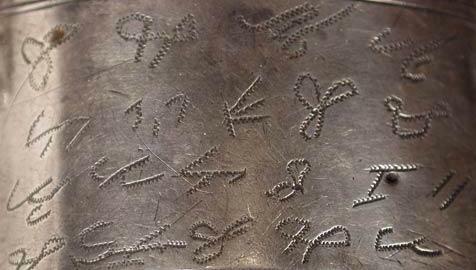 Such engravings would later evolve into so-called proto-writing or identifiable symbols that were used to conveyed information but are not known to be part of language. University of Bordeaux researchers in Diepkloof, South Africa have found 60,000-year-old ostrich eggshells with symbolic patterns that are believed to communicate the names of local communities. The Wonderwerk cave paintings (c. 25,000 BC) in northern South Africa feature hundreds of unique symbols and patterns alongside images of people and wildlife. This uncovers an important link in the development of writing by modern humans. 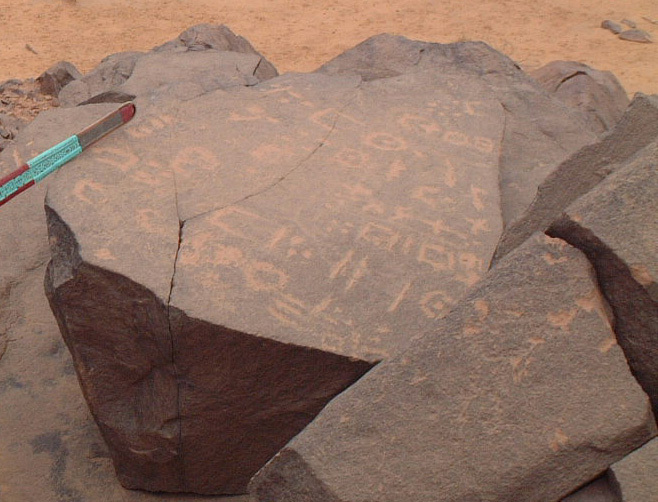 Perhaps the world's oldest known form of writing are inscriptions of what some archaeologists and linguists have termed, "Proto Saharan" near the Kharga oasis west of so-called "Nubia" that date to at least 5000 BC. The writings under the image that looks like the Nilotic god Seth show similarities to later writing systems such as Tifinagh and Vai. An example of Nsibidi characters. Nsibidi is an ancient script used to communicate in various languages in West Central Africa. 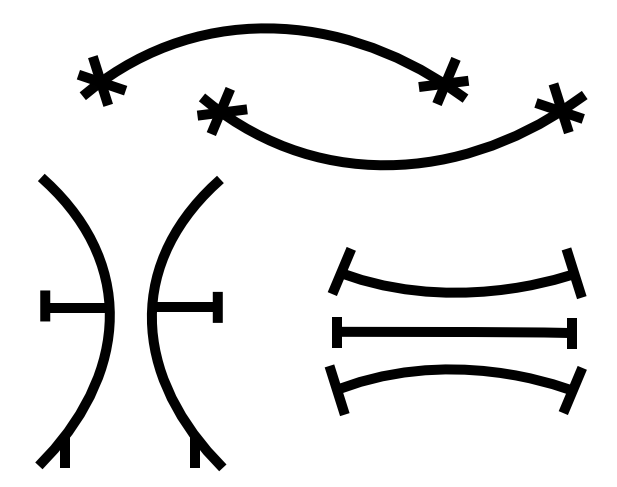 Most notably used by the Uguakima and Ejagham (Ekoi) people of Nigeria and Cameroon, Nsibidi is also used by the nearby Ebe, Efik, Ibibio, Igbo, and Uyanga people. The script is believed to date back to 5000 BC, but the oldest archaeological evidence ever found dates it to 2000 BC (monoliths in Ikom, Nigeria). Similar to the Kemetic Medu Neter, Nsibidi is a system of standardized pictographs. In fact, both Nsibidi and Medu Neter share several of the exact same characters. 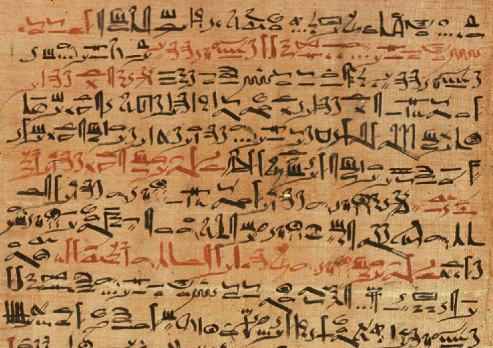 Medu Neter on an excerpt from the "Papyrus of Ani" (1250 BC), a spiritual and metaphysical work of literature. The word Medu Neter (MDW W NTR) literally means "tongue of God" or more loosely, "God's words." 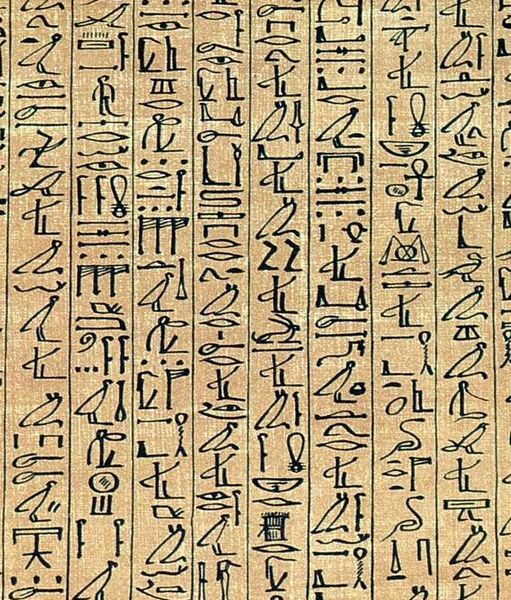 The English word, "hieroglyphs," is derived from the Greek word, "hieroglyphikos," which means "sacred engraving," similar to the basic meaning of "Medu Neter." This script is an elaborate logosyllabic writing system in which symbols represent either words (concepts) and consonal phoenetic sounds, or both, depending on the context. The oldest known evidence for this writing system comes from pre-dynastic pottery at Gerzeh (c. 4000 - 3500 BC; "Gerzean culture"), which is located about 100 miles south of Ha Ka Ptah (Giza), and from inscriptions found at Gebel Sheikh Suleiman (Wadi Halfa; 4000 - 3500 BC; "Nubian A-Group culture") in so-called "Nubia." The next oldest form of Medu Neter dates between 3300 and 3200 BC and found in Abdu (tomb of the so-called "Scorpion" suten in Abydos) on clay tablets that recorded oil and linen deliveries. During the so-called "dynastic period" (3100 BC - 500 AD), Medu Neter was used on the oldest of all historical texts, the "Narmer Palette" (3100 BC), then widely used in the metaphysical/spiritual "Pyramid texts" (2400 - 2200 BC), coffin texts (2200-2000 BC), and the scientific, spiritual and administrative papyri (1825-600 BC). The term, "Hieratic" was first coined by Saint Clement of Alexandria (c 200 AD), a Greek theologian who used the term "grammata hieratika" or priestly/sacerdotal writing. Although many scholars contend that "Hieratic" developed as an entirely distinct script from the Medu Neter, the obvious visual similarities prove that it is also a somewhat simplified form of the Medu Neter that was mainly used for more administrative and scientific documents throughout the dynastic history of both Kemet and Kush (3200 BC - 600 AD). However, linguists have also shown similaries between it and the alphabetic Proto-Saharan or Thinite writing. Rock paintings at Oued Mertoutek in southern Algeria show the earliest signs if the so-called "Lybico-Berber" or early Tifinagh writing system and date to 3000 BC. Tifanagh is still used by Amajegh (Tauregs), who mainly inhabit a vast area of West Africa, including present-day Mali, Niger, Chad, Burkina Faso, Southern Algeria and Southern Libya, are the only known group of Tamazight speakers who have used the Tifanagh script continuously since antiquity (in recent years, however, the larger Tamazight speaking community of the Sahara region have adopted use of the Tifanagh script). An example of Vai characters. Vai is one of the world's oldest alphabetic scripts in continuous use, with over 150,000 users in present-day Liberia and Sierra Leone. It's a highly advanced syllabary writing system with over 210 distinct characters representing various consonants and vowel sounds used in the Vai language (a descendant of ancient Mande). Contrary to popular belief, Vai is not a wholly unique script invented circa 1830 by a West African whose friends helped him remember a dream. Evidence of its antiquity comes from inscriptions from Goundaka, Mali that date to 3000 BC, and Vai's close similarity and relation to the older Proto-Saharan and Tifanagh writing found all over the Saharan region. Vai has also been linked to other writing systems in West Africa that were allegedly invented in the 1800s by people who had similar dreams. Even in the Americas, Vai is similar to scripts that were supposedly invented by Africans who, again, were coincidentally inspired by their dreams (e.g., the so-called Afaka script shares at least 34 of its 56 characters or 61% with those of the Vai script). In 1999, Yale University archaeologists identified an alphabetic script in Wadi El-Hol, a narrow valley between Waset (Thebes) and Abdu (Abydos) in Southern Kemet. Dating to about 1900 BC, it bears resemblance to Medu Neter, but also the much older "Proto-Saharan" writing system. 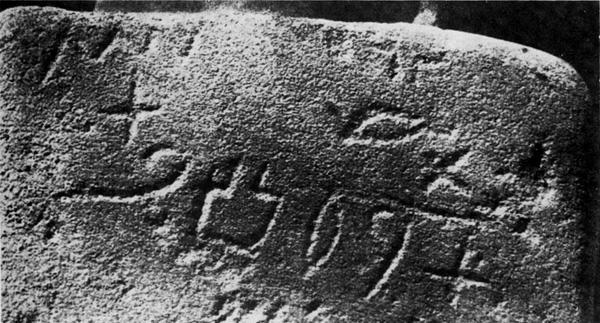 A similar inscription that dates to 1500 BC was found in Serabit el-Khadim on Africa's Sinai peninsula, and is likely the basis for the so-called "Proto Canaanite" and "Phoenician" scripts (all of which are descendants of "Proto-Saharan"). 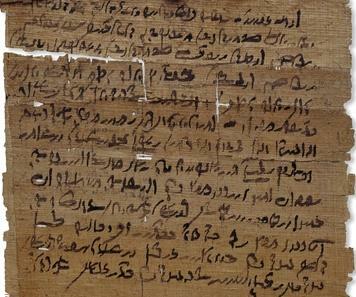 Most importantly, the find provides proof that Phoenician writing was born in Africa. The so-called "Meroitic" script was developed sometime around 800 BC in Napata, the new capital of Ethiopia or Kush, and remained in use after the capital moved to Meroe until the 7th century AD. Thus a more appropriate name for the script would be "Napatan," in reference to the first known place of use. Archaelogists have found countless stelae (such as the one shown at right), in addition to inscriptions on temple walls and statues which have the script, and few linguists have ever attempted to translate the text. Contrary to popular belief, the Napatan script has been deciphered and is found to have been the script of a wholly African language that is related to the modern languages of Taman (spoken in Darfur and Chad), Niyma (Northern Sudan) and Nubian (Southern Egypt). The Ge'ez script is an advanced syllabary script consisting of 231 characters used to communicate in several Ethiopic languages. It is unquestionably one of the oldest writing systems in continuous use anywhere in the world. 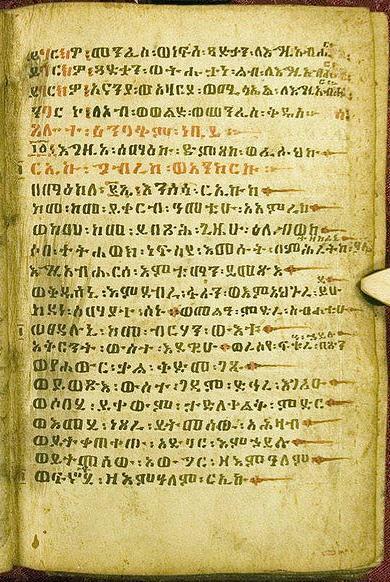 Although the original Ge'ez language is only used in Ethiopian and Eritrean Tawahedo Orthodox churches and the Beta Israel churches, the Ge'ez script is mainly used by speakers of Amharic, Tigre and Tigrinya, among others. The oldest known evidence of Ge'ez writing can be found on the Hawulti stela, which dates to the pre-Aksumite-era or roughly 800 BC. Therefore, evidence suggests Ge'ez could be older than the "Old Ethiopian" script, even though the latter appears to be more primitive than the former. Sabean is another ancient African syllabary script that is similar to Ge'ez and a descendant of the Proto-Saharan system. The word "Sabaean" itself derives from the Western name, "Sheba" (from the Ge'ez word, Saba, whom modern Ethiopians call Makeda), the D'mt leader to whom the "Sabaean" or "Old Ethiopian" script is attributed. Sabaean is found all over Ethiopia and Yemen, a former colony of ancient Ethiopia's D'mt empire. It is important to reiterate that the Arabian peninsula was first colonized by Ethiopians, not vice versa, as attested in ancient literature (see page on the history of Ethiopia/Kush). Secondly, the oldest examples of the "Sabaean" script are inscriptions at the Temple of Yeha in modern-day Ethiopia, which local historians generally date to 700 BC. There are also several inscriptions at Aksum, the principal city (perhaps not the only one) from which Queen Makeda reigned. Not only is the Old Ethiopian inscription at Yeha older than any others ever found on the Arabian peninsula, there are subtle differences, as clearly noted by some 19th century linguists such as James Theodore Bent, David Heinrich Mueller, and John George Garson. In other words, "Old Ethiopian" is older and somewhat different than the so-called "Old Arabian/Sabaean" script. The term "Demotic" was utilized by Greek writer/historian, Herodotus (484 - 425 BC), to distinguish it from the "Hieratic" script. Whereas "Hieratic" connotes "priestly," the term "Demotic" is derived from the Greek word "demos" which means common people. It is potentially the world's first cursive or flowing script, and used for basic legal agreements, administrative documents like employee timesheets or inventory lists, and friendly letters. It is very important to note that "Demotic" was introduced in Kemet's 25th Dynasty, which had "Nubian" or Kushitic origins. It's also worth mentioning that "Demotic" is the second script used on the famous "Rosetta Stone," which has been used by linguists to decipher the older Medu Neter, and "Demotic" is the basis for later scripts such as "Arabic." The word, "Coptic", derives from the Greek word, "Ai-GYPT-os (a corruption of the Kemetic word, "Ha KA PTAH," meaning house of the soul of Ptah, the location of Memphis and Giza and later all the Nile Delta). 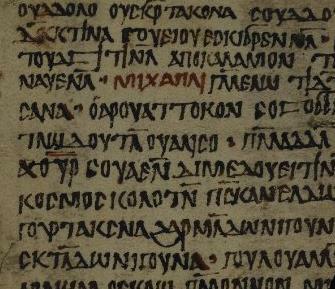 Coptic is a descendent of "Demotic" Kemetic and Greek writing (although it is important to note that the Greek script derives from both "Demotic" and Proto-Saharan). The system of writing was developed in the early Christian era by the so-called Copts, who were descendents of both the ancient Kemetic people and the Greek invaders/occupiers of Kemet. In their quest to retain much of the knowledge written in "Demotic", a language that was no longer in use at the time, they got knowledgable scribes to write "Demotic" religious texts using Greek letters with additional letters that derive directly from "Demotic". The meaning or essence of the text itself was not translated into the Greek language--only the alphabet was transcribed from "Demotic" to Greek script. Thus the Coptic spoken language is not related to Greek; it is wholly African and most similar to modern Nubian languages. The so-called "Old Nubian" script is a descendant of both ancient Napatan and Coptic, and the Old Nubian tongue is an ancestor of the modern Nubian languages, such as Nobiin. Old Nubian was used in writings in the Christian kingdom of Makuria whose capital was mainly Dongola in central Sudan.